This is the rig which formally belonged to Bill Orr W6SAI, the well known author and a former editor of the “West Coast Radio Handbook”. Born May 27, 1924, John enjoyed a very full life, as member of the US Army during the occupation of Japan, as a petroleum geologist, traveling throughout the work, as a private pilot who had owned several plans over his lifetime – holding an instrument rating, a most skilled gunsmith and nationally ranked pistol champion, and finally as a ham, with a life long interest and love of radio. It is in the radio context that many of us many have encountered John, and his creations. 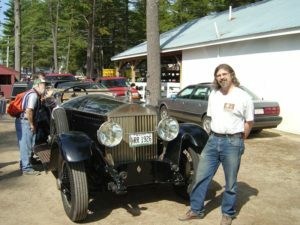 He was both well known and very well regarded with the vintage radio community, perhaps best remembered for his wonderful home-brew rigs, often built on cherry wood. 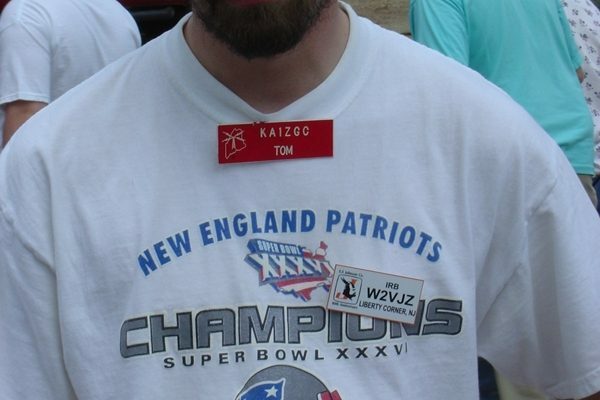 He was also an amazingly generous man, happy to answer any technical question, and frequently giving out gear to others, with the only request that they use it on the air. I was recipient of John’s kindness, with the gift of the W2ER rig, a transmitter that John built some years back for Marshall W2ER SK. John passed away on March 18, 2008. 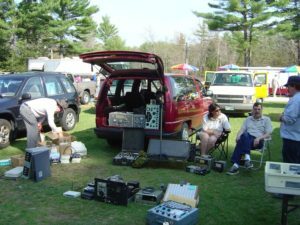 It was 11 years ago that Bruce Kelly asked John to take over the Amateur Radio column in the OTB as Bruce himself was winding down. John was a man of many talents and had a most interesting life. Because he was always so busy helping others, he rarely took time to talk about himself, so I am going to take this opportunity to tell you a bit more about him. John was born in Guatemala of American parents where his father worked for United Fruit Company (think bananas). At an early age, his father died of malaria and his mother moved the family back to New England. He also lived with an Aunt and later with his much older brother, an airline pilot, who lived on Long Island. As a teenager John discovered radio and his brother bought him a $5.00 two tube regenerative radio kit to build. John built the kit, but it was another 6 months before he got another kit for the power supply. With the help of a ham who lived nearby, he got the radio working which opened up a whole new world for him. John was in High School when his brother went with him into NYC to test for a ham license at the FCC Field Office. For the next couple of years he was active on 40 M. CW using the regen receiver and a Hartley oscillator. At this point, WW II got in the way. John enlisted in the Army and was trained in radio repair, shipped off to New Guinea, and assigned to be a telephone lineman. The Army moved John steadily North to the Philippines and then to Japan where he was finally sent back to the States for discharge. John enrolled at the University of New Hampshire where he discovered his love of geology. He liked it so much he went on to get a Masters at the University of Nebraska and several years later, a Doctorate also from the University of Nebraska. He continued to work for Chevron exploring for oil in Africa, Madagascar, Spain, Denmark and many other countries including the US. 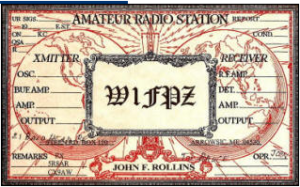 While he was in college, John remembered his love of radio, but unfortunately his ham license had expired, so he went back in 1954 to test again receiving the call W1FPZ which he held ever since. Later, he tested for his ham license in Madagascar (in French) and in Uruguay (in Spanish). Not many of us have tested for our licenses in three languages! While he was in Madagascar he built many of the transmitters that are still in use at his home. He even wound his own power and filament transformers to get the voltages he wanted. John also discovered that he was an excellent pistol marksman, but that his results could be substantially improved by reworking the guns themselves, so he taught himself to be a gunsmith. His skills at woodworking, carving, machining, precision casting of bullets and loading target shells were such that this became a major hobby business for him which he pursued right up to recent months. John was a survivor. While in the Army he survived a major brush with a 3,300 volt power line and later a plane crash while in Africa. Since small planes were the only way for John to get to his job sites, he decided that he’d rather trust his own skills as a pilot than relyon the brush pilots that the oil company had hired. Back in the States, recuperating from his injuries, he got a private pilot’s license, then went on to a multi-engine commercial license with full instrument ratings. Just before he retired, he was working out of Denver and flying his own twin engine Queen Air to Maine to work on his retirement home. He even flew from Maine to the AWA conference one year picking up MarshallEtter, W2ER from Long Island on the way. 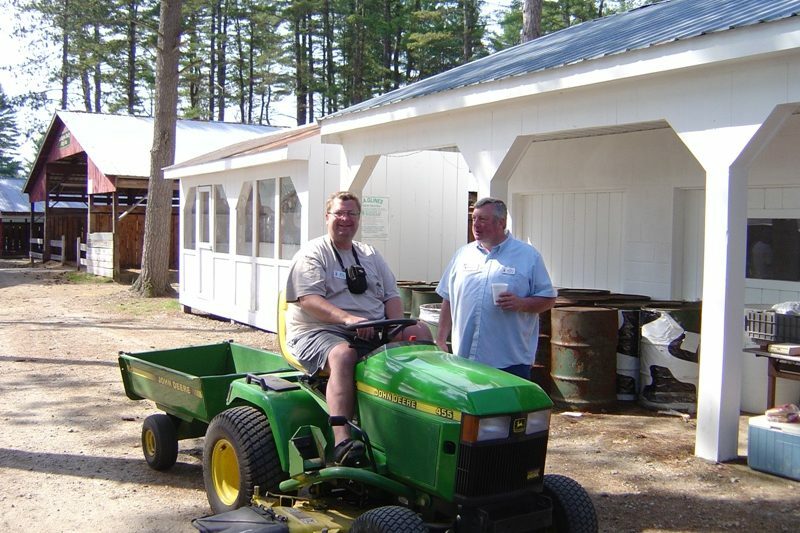 Preparing for retirement, John and his wife Liz doubled the size of their new home in Maine. As part of the project, John wanted reliable ham communications with his friends around the world. Limited by normal power regulations, he decided to build a BIG antenna. His final choice was a horizontal V beam aimed at the Southeast. The beam legs were 1,100 feet long and supported on three 100 foot towers. Looking for wire strong enough to span the distance he ran across an ad for #6 phosphor bronze wire run by Marshall, W2ER who had salvaged the wire when he was closing the RCA site at Rocky Point. The two men became fast friends and co-conspirators. Marshall provided quality parts left over from RCA and John, using his metal and woodworking skills, customized the parts to suit his projects. The result was a long series of radio projects that he gave to friends with the caveat that they were required to use them on the air in AWA events. 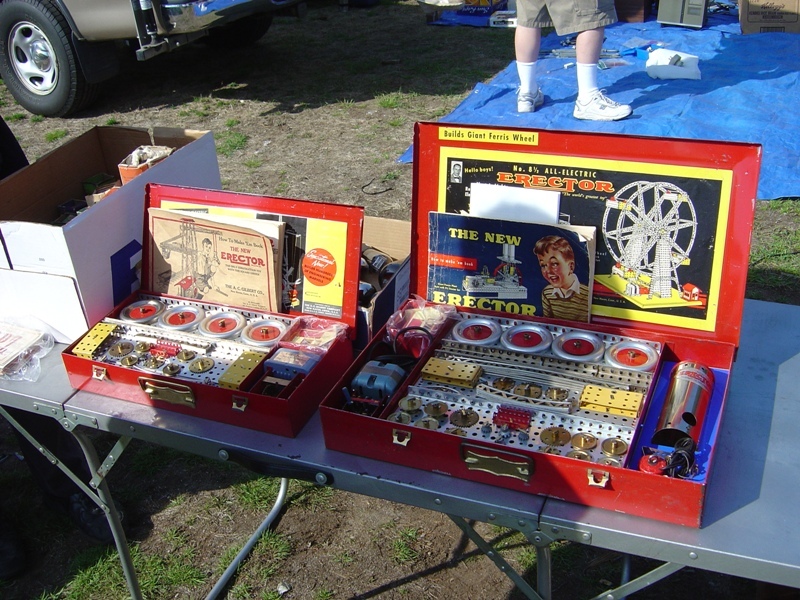 John always had a fascination with the products of Jerry Gross of NYC. He built a Gross replica transmitter for Marshall who used it for many years. Parker Heinemann, W1YG found an original Gross and had John restore it along with the receiver, station monitor and antenna tuner. They set up an entry in the 1991 AWA contest that exactly duplicated a Gross add from the 30’s and took first place. After the conference, John got a call from Bill Orr who offered John his Gross if John would restore it. 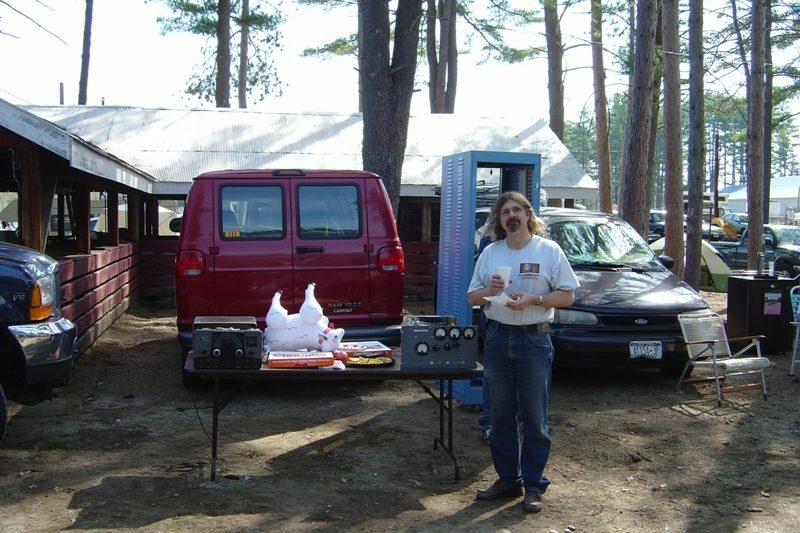 That transmitter is part of John’s home station. Not satisfied with the Hartley oscillator, John discovered that if he used the Colpitts circuit with a split stator condenser and grounded rotor, he could eliminate the hand capacity effect. 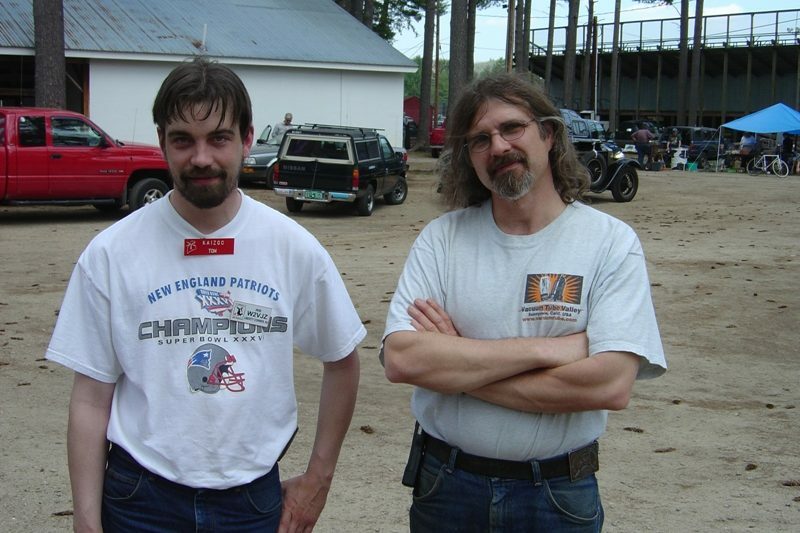 One of his last projects was to set up the tuned circuit for me and share several of his other construction secrets. The circuit is rock stable on 40 meters. Thanks for the opportunity to fill you in on some of the less well known aspects of John’s life. It was an honor to know him and he will be missed by all.